I draw this while licking a Blue Raspberry Popsicle. I wonder if Mario is about the same size as Frodo. I wonder if I plant this Butterly Garden Seed Mix if Butterflies will not go extinct. Dandelions are very pretty but I have to kill them all. I wonder if bugs have feelings of saddness when I dig into their houses and place a sunflower seed in their bedroom. Pat, pat, pat, water, water, water. 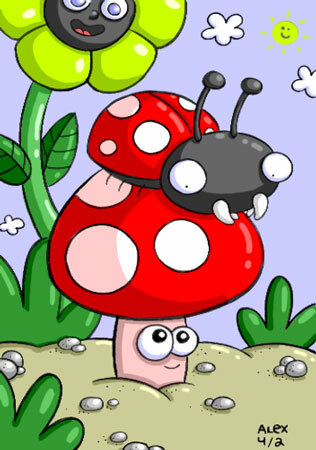 I have never seen in real life the type of mushrooms I always draw. Butterflies Will Not Go Extinct! Sometimes on my way to work I say “Good Morning!” to everything I see. 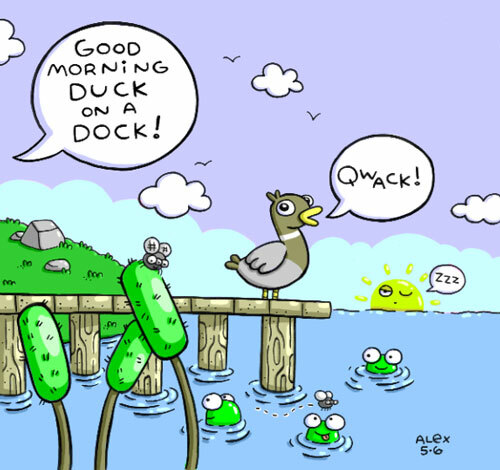 “Good Morning Clouds!” “Good Morning Tree!” “Good Morning Dead Opposum!” and one time I saw a Duck on a Dock and I said “Good Morning Duck on a Dock!” and giggled. 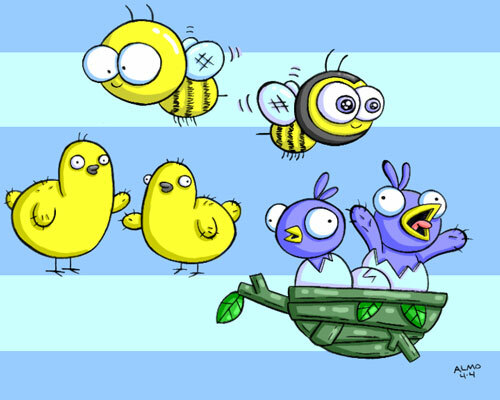 Here are some rejected ideas from the Almo Spring Background 2015! 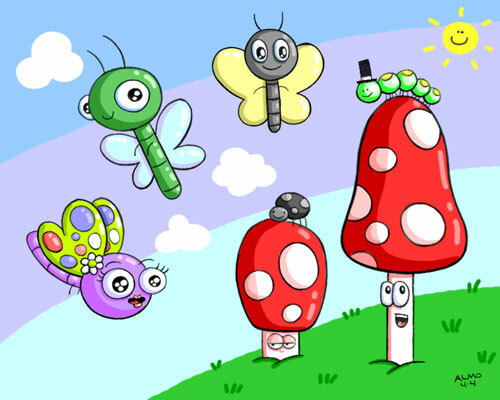 You got your moths and other flying creepies, some baby chickens, and mushrooms are great! It’s the 2015 Almo Spring Background! 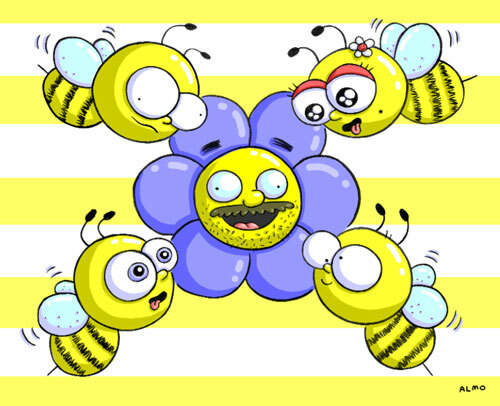 I shall title this piece “Do Me!” or maybe “Do Me You Bee’s”. I don’t know? 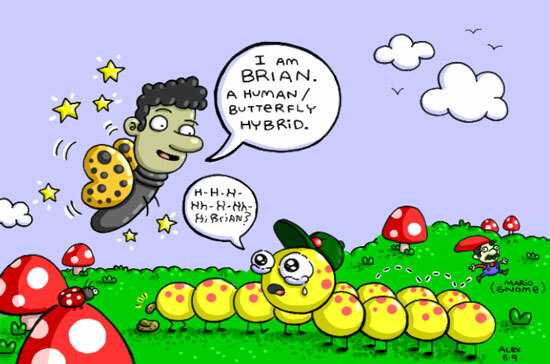 Sometimes Mushrooms and Bugs can look similar. 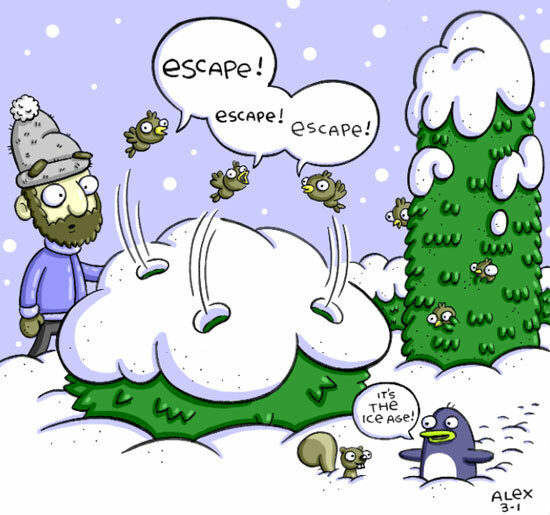 The Ice Age has ended but during its last week I noticed escape holes had started forming atop bird homes! One day it was so cold! 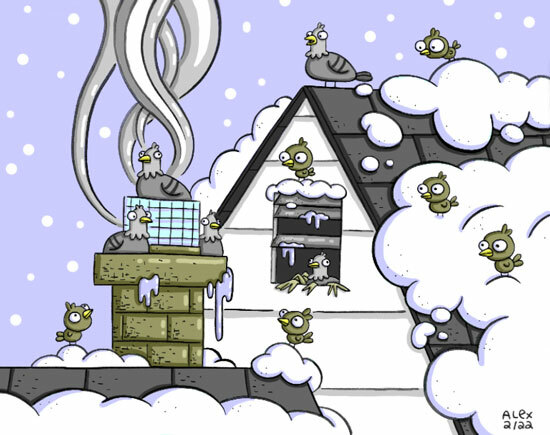 All the Sparrows were jealous that all the Pigeons were sitting on all the Chimneys to keep warm!